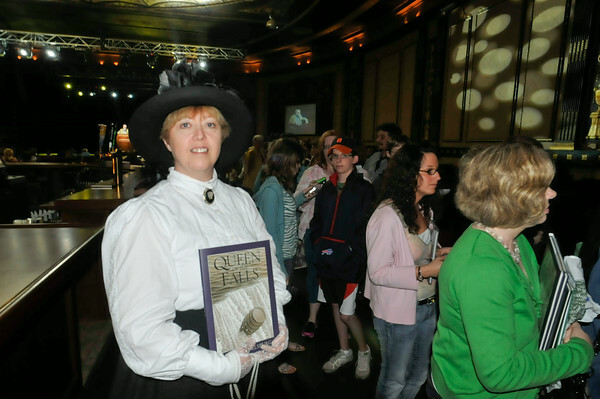 DAN CAPPELLAZZO/STAFF PHOTOGRAPHERNiagara Falls - Kathleen Ordiway portrays Annie Edson Taylor as acclaimed author Chris Van Allsburg speaks at the Rapids Theater about his new book Queen of the Falls, the story of Annie Edson Taylor. She was first woman to go over Niagara Falls in a barrel on October 24, 1901. Allsburg, who was brought by the Niagara Falls Library, also wrote Jumanji.